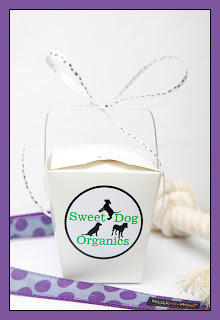 Today is a big day for Sweet Dog Organics. Sweet Dog has partnered with Meals on Wheels-Greater San Diego to provide organic dog treats for the dogs of homebound seniors receiving their daily meals from this hard working organization. Armed with a box of individual dog treat boxes, I drove to the Meals on Wheels meal center in downtown San Diego. I found a small staff making the meals and a long table filled with open white paper bags patiently waiting to be delivered. In support of Sweet Dog Organics' commitment to the wellness of all dogs and their owners, we will provide organic dog treats to the dogs of seniors twice a month with their regular meals. I am excited about the challenge and think that it is a worthy cause. As dog people, we understand that pets, especially, dogs are known to help their owners fight depression, lower their blood pressure and improve their well-being. As I handed my box of treats over to a very nice manager, I felt like I was back 20 years at door of my son's preschool. Crazy, isn't it? I was sentimental over a big box of dog treats that are going make someone smile and another's tail wag. OMG! You totally rock! What an awesome thing to do. Yea for you! Its the little things that give us the most joy. Yeh, what everyone else said. You rock!